Have you ever wanted to catch a fish? Come find out what happens when Ava goes down to the water's edge with her pail to catch one. Have you ever been in a storm or felt afraid of thunder, lightening and strong wind? Find out what happens to Harry, the Heart Fish and his family when there is a storm at sea and a wave separates them. What do you think would happen if you were involved in an under the sea earthquake and got trapped in a cave? How would you help Harry and his family? Would you pray? Send out the Coast Guard to search for them? Would you use your own rescue boat if you had one? Would you hope a scuba diver would come by? Come find out what Ava does about it. And come find out who the faithful friends are who come to the rescue. The Lost Fish by Annette Ziegler was published by Christian Faith Publishing, Inc in March 2018. 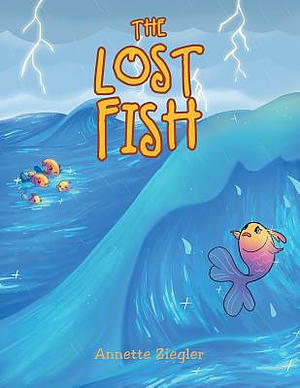 The ISBN for The Lost Fish is 9781681971414. Be the first to review The Lost Fish! Got a question? No problem! Just click here to ask us about The Lost Fish.